Footscray’s Maribyrnong River will ring with the sound of hammer hitting anvil during the fourth biennial Blacksmith Festival on Saturday 27 and Sunday 28 April. With the support of the Maribyrnong City Council this years festival ‘Forged with Fire’ will bring together blacksmiths from across Australia, Canada and USA to showcase this not-so-lost trade. Master artist blacksmith Jake James from Canada will lead a four-day collaborative sculptural challenge involving twelve blacksmiths, working in teams, to forge a sculpture exploring themes of migration and native flora. The piece ‘Many Hands’ will be permanently mounted on the Waterside Metal Art Studio building on the Festival site to become part of the public art landscape along the Maribyrnong River. The final two days of the challenge will take place live during the festival to share the performative experience of blacksmithing with the public. Each team will be led by some of Australia’s most talented artist blacksmiths including Pete Mattila and Ben Beames (TAS) and Will Maguire (NSW). This year will also see Elizabeth Belz from Memphis, Tennessee, USA, leading the festivals first dedicated women’s artistic blacksmithing workshop. The workshop aims to enrich and diversify the local blacksmithing community and encourage more women to explore the creative potential of steel. The festival workshop program includes the opportunity to forge your own spoon and blacksmiths knife. Those with no experience at all can sign up to ‘give it a go’ and try their hand at traditional forging. With so many kids enjoying the action in previous years the Festival has introduced a special fire-free kids forging area. 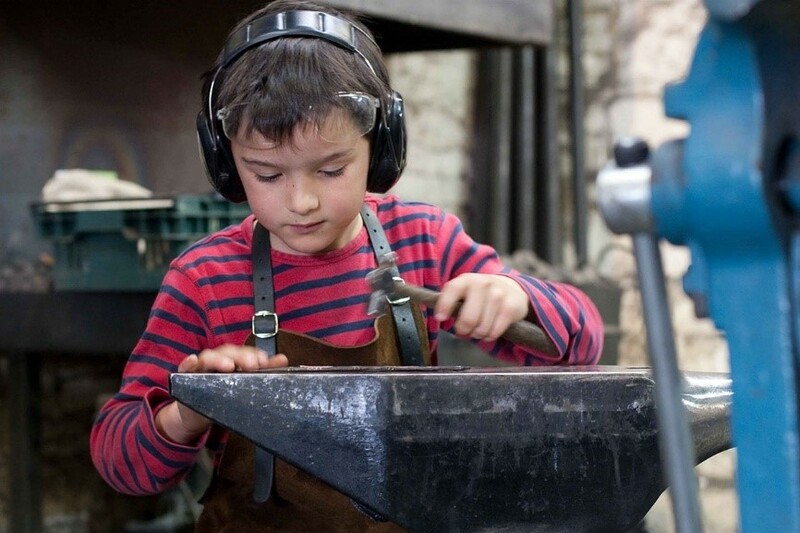 For a gold-coin donation kids under twelve can hand forge some simple aluminium object or press a small medallion to take home. This year, by demand, the Saturday program has been extended to 11pm providing plenty of time to enjoy live music by energetic local band Babaganoush; food by BlueBonnet BBQ from their impressive hand-made smoker; or relax around a fire pit in the popular pirate ship outdoor bar sponsored by Two Birds Brewing. Many of the ‘smiths will have items on display and available for purchase throughout the weekend. The Blacksmiths Festival is sure to have something to light your fire. Nick McElligott, Media Coordinator, 0431 041 191 nick@blacksmithsfestival.com. Or visit our website: blacksmithsfestival.com.